Do you really know what’s in your Homeowner’s Insurance? Most people assume that all policies are basically the same, but they can vary, depending on policy and company. It is important for you to understand what your policy covers before your house suffers winter damage and you file an insurance claim. There are several types of policies. The majority are considered “standard.” “Fire-only” will not cover as many types of damage as an “all-risk” policy. If you are not sure what type of policy you have and what it covers, call your agent for an explanation. Not any policies pay for ice dam removal. However, interior or exterior damage caused by an ice dam on your roof is usually covered. Homeowner’s insurance does not cover injuries sustained by a homeowner during snow removal. Accumulation of snow and extreme cold are considered “acts of God,” but not considered damage per se. Damage caused by snow and cold is covered. Damage to your yard and driveway is not covered. Not all companies pay to have frozen pipes thawed by professionals. Most policies cover pipe replacement and water damage. 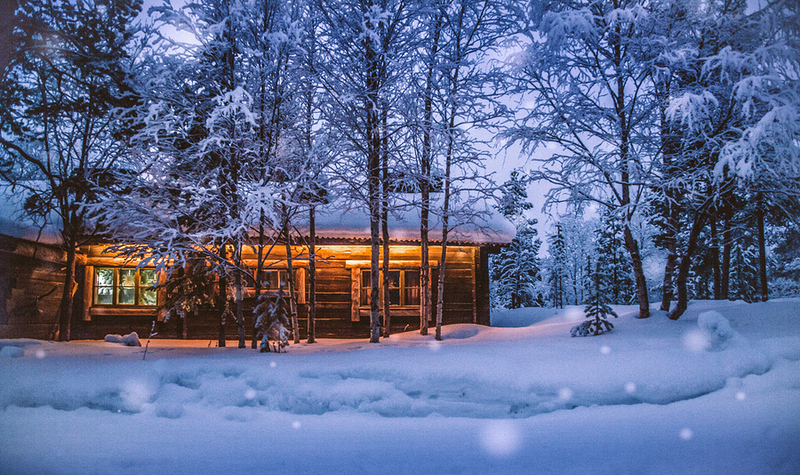 The coverage may not apply if you turned the furnace off for the winter without winterizing your home. If you lose power during a storm, there are policies that pay for spoiled food, repairs to damage caused by loss of power, and appliances damaged by the outage. Many policies also will pay for shelter when you lose power for extended periods during the winter. 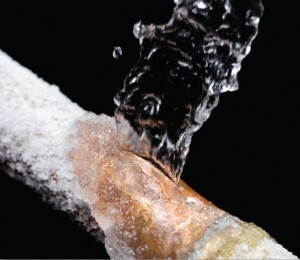 If you lose heat and fail to take steps to prevent pipes from freezing, your policy may not cover the resulting damage. Commercial property insurance varies dramatically from policy to policy. Check with your agent to find out what kind of coverage you have before damage occurs. If you have damages caused by one of these unfortunate events and are not sure how to proceed, give us a call. We are here to support you and find out your best course of action. The winter holidays are quickly approaching and many of you may already be busy decorating and preparing to celebrate with family and friends. But before you light the Menorah, Kinara, or Advent wreath, remember that more than a third of home decoration fires are started by candles and 42% of decoration fires happen because decorations are placed too close to a heat source. Please, follow these tips to keep your house and family safe during the holidays. Keep lit candles away from decorations, furniture, draperies, trees, and other things that can catch fire. Keep matches and lighters up high or in a locked cabinet. Some lights are only for indoor or outdoor use, but not both. Check the UL listing on the box for proper usage. Replace any string of lights with worn or broken cords, loose bulb connections, or that unintentionally flicker as you handle them. Follow manufacturer’s instructions for number of light strands to connect. Be sure to review last year’s post on Holiday Safety Tips for more reminders of how to keep safe during winter holiday celebrations. Wishing you safe and happy holidays and a peaceful new year! Hurricane season has just started, so now is a good time to point out what you should do if one is headed your way. Here are the Top 15 things to consider before a storm hits. Review insurance policies and catalog belongings. Collect and safeguard critical financial, medical, educational, and legal documents and records. Make copies and safeguard, if you have time. Back up electronic data. This is best if done offsite or through cloud storage. Pack a “go bag” to bring with you if you have to leave quickly. Consider covering all of your home’s windows. Permanent storm shutters offer the best protection for windows. A second option is to board up windows with 5/8” exterior grade or marine plywood, cut to fit and ready to install. Keep a thermometer in the refrigerator to be able to check the food temperature when the power is restored. If a storm does cause any damage to your property, please reach out to us. We are always here to help. This winter’s cold temperatures has kept the bulk of our snow fall hanging around. Warmer weather this week combined with rain will cause a rapid thaw, which will bring water into many finished basements. Do you have the proper coverage for your basement level? Many insurers make you buy additional coverage for the basement in what is called a sump pump rider. In the event of a power outage or sump pump overflow, the structural and property damage in your basement will be covered. 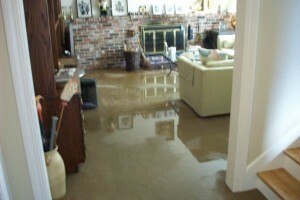 Check with your insurance agent to see if your basement is covered for water damage. This weekend is set to be the coldest in the past few years with temperatures dropping to the single digits overnight. While we know to bundle ourselves up to keep warm many people forget to check to make sure their pipes stay warm as well. Ice forming in a pipe does not typically cause a break where the ice blockage occurs. After a complete ice blockage in a pipe, continued freezing and expansion inside the pipe causes water pressure to increase downstream — between the ice blockage and a closed faucet at the end. Usually the pipe bursts where little or no ice has formed. • Pipes that have frozen in the past or near exterior walls are obvious candidates for special attention. • Insulate areas where vulnerable pipes are located. • When insulation isn’t enough, consider pipe wrappings embedded with electrical coils (heat tape) that provide an outside source of heat. • Remove hoses from outside yard faucets. The faucets can’t drain properly with a hose attached and will freeze and break if the hose is left attached. • During severe cold weather, resist the urge to lower your thermostat to save money while you are gone for the day. • Open the doors to kitchen and bathroom cabinets under your sinks so heat from the room will help warm the pipes. • Running water does not freeze very readily. During severe cold weather, keep a stream of water trickling out of faucets or spouts attached to vulnerable pipes. • To prevent a frozen pipe from bursting, open the faucet it supplies with water. Then add heat to the area where the pipe is located. • Turn off the water supply to that line. 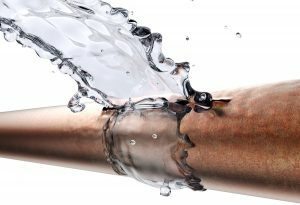 • If a pipe does burst, immediately turn off the water to your home. • Know where your main water emergency shut-off valve is located. Puff back is a malfunction in the heating system which causes soot and debris to blow through the exhaust system, often leaving a dark residue all over surrounding items and surfaces. A common cause is an oil burner that doesn’t ignite immediately. Vapors build up before ignition, resulting in an explosion similar to the backfiring of a car. Other causes include a clogged nozzle, weak transformers or a bad oil pump. Recently, we have even seen puff back from gas fireplaces with clogged nozzles. Having your heating system inspected by a licensed professional at least once a year can prevent puff backs as well as changing the oil filter once for the summer and once for the winter. Damage to your home from a puff back can affect every room with a heater vent and even leave soot in your attic. Soot is not just a powder like substance it is a petroleum by-product that is black and sticky. This dirty residue needs to be cleaned from every inch of your home as soon as possible. In addition to the sticky soot puff back causes there is also an odor that is difficult to remove. It will require a good restoration cleaning company for your home to be cleaned properly. 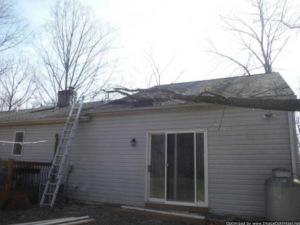 Luckily puff back damage repair and cleaning may be covered by your homeowners insurance policy. Property Adjustment will help you get all the help you need to put your home back to normal. Property Adjustment Corporation will help prepare an estimate of the numerous items in your home and determine what can get cleaned and what needs to be replaced. This can be quite an overwhelming task if the puff back makes your home unlivable and you need to find temporary housing. By contacting Property Adjustment Corporation you have taken the first and most important step toward achieving the best possible settlement for your loss. Our professional staff is respected by insurance carriers throughout the tri-state area for their specialized knowledge, honesty, and integrity. 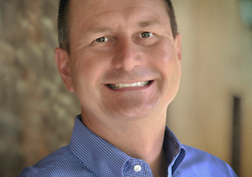 Clients put their trust in Property Adjustment Corporation because they know we take the pain and aggravation out of the loss settlement process by handling all aspects of the claim. Not only do we report the claim to your insurance company, estimate the damages, and negotiate the highest possible settlement to which you are entitled, we also know what to ask for and how to properly navigate and present a property claim to optimize a settlement. We explain your rights and coverage to you and keep your insurance company accountable, every step of the way. And, if you have any questions or concerns throughout your claim process, your adjuster is only a phone call away. Thank you for choosing the experts at Property Adjustment Corporation, where we make things right!